I don't usually make layouts about myself (I'm usually the one behind the camera) but today I thought I'd play along with the April Scrap the Girls challenge and document a little bit about myself (or at least one aspect of myself). 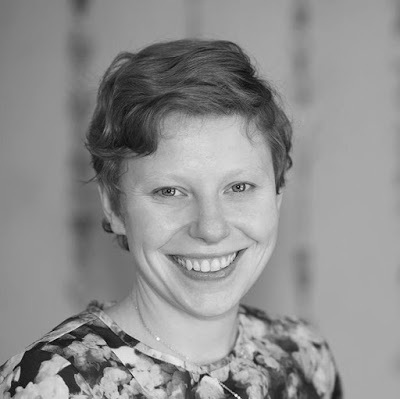 Most people know me as 'Kat the data nerd' or 'Kat the craft addict', but not 'Kat the group fitness instructor'. This month I finally feel like I'm getting back in shape after having twins. Not many people appreciate how hard I've been working to make that happen or why it is important to me. 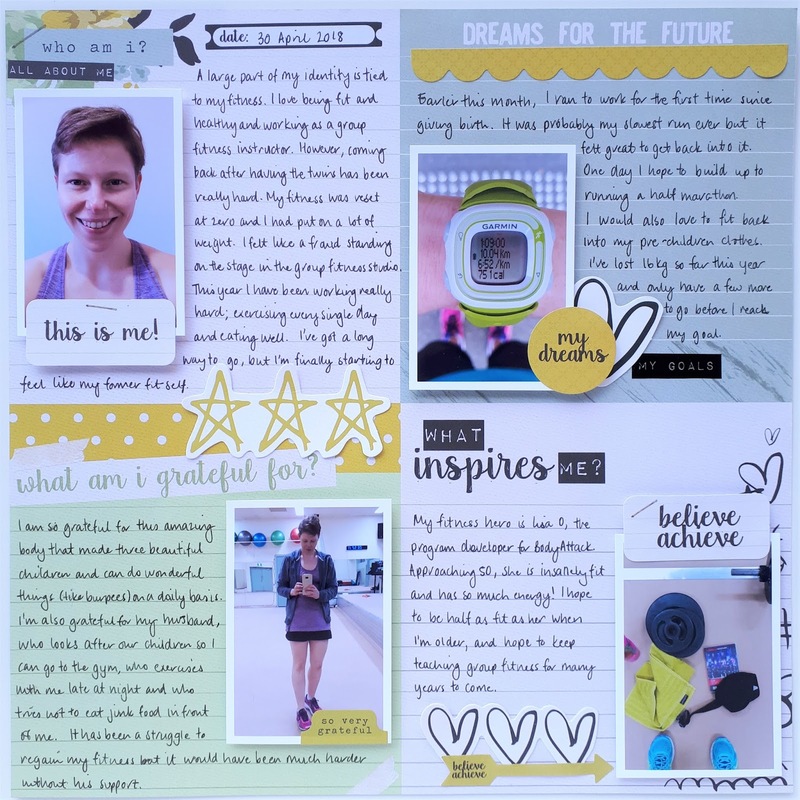 I thought it would be nice to document my progress so I took a couple of selfies at the gym this morning (I never take selfies) and stuck them on a page with a few extra stickers and a whole bunch of journalling. It's not the fanciest page I've ever made but I quite like how the page acted as a prompt for the journalling. I'm also linking up with the April Scrapbook Boutique challenge (black and white plus one) since I've used a colour scheme of black and white plus different shades of green (from a yellowish mustard green to a dark sage green). I'm just checking in with the April One Monthly Goal link up (hosted by Elm Street Quilts) and sharing my progress on my Ombre Gems quilt. For April, my goal was to finish half of the blocks (9 in total). I'm pleased to report that I finished all of them and have just finished putting together the quilt top. 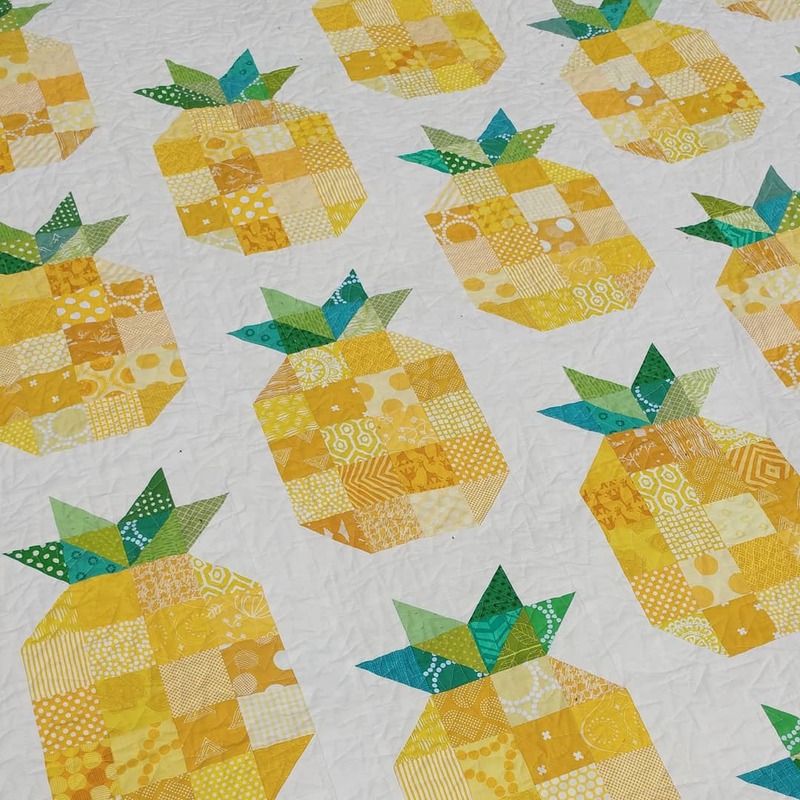 The points were a bot of a nightmare to line up but you can't tell if you look at it from across the room :P Now I need to decide on a quilting pattern. 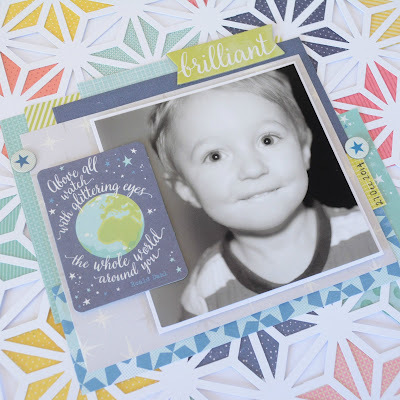 Today I'm sharing a layout that was inspired by this months Kraft+ challenge. 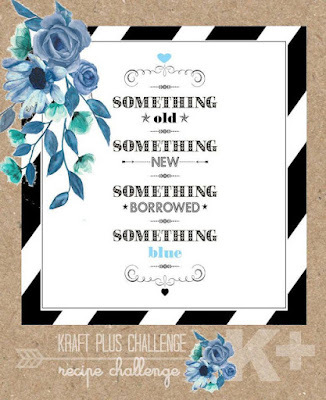 It has been aaaages since I joined in the Kraft+ challenge but this one was an easy one for me to decide what to scrap about: my little sister's wedding. 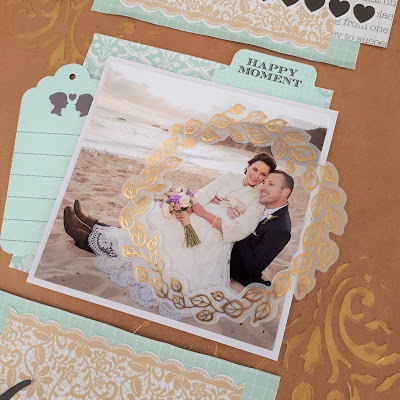 For the 'something new', I used a 'new' (previously unused) stencil to add a bit of detail to the background. The 'something borrowed' critera was a little harder but I think I've covered it three ways; 1) the design of the layout was borrowed (scraplifted) from this layout I saw on instagram earlier this week, 2) the lace was borrowed (re-used) from the wedding invitations and 3) the vellum elements were borrowed from another collection (I'm normally a one collection per project kind of gal so this is unusual for me). 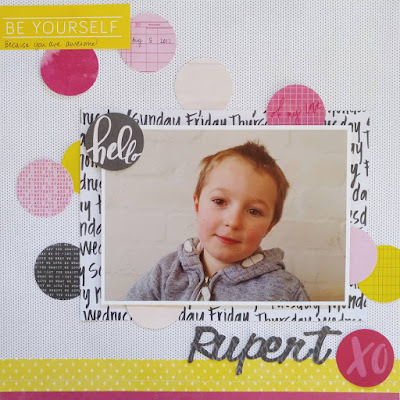 I haven't added any journalling as this layout is actually for my sister's scrapbook and she'll add it later. 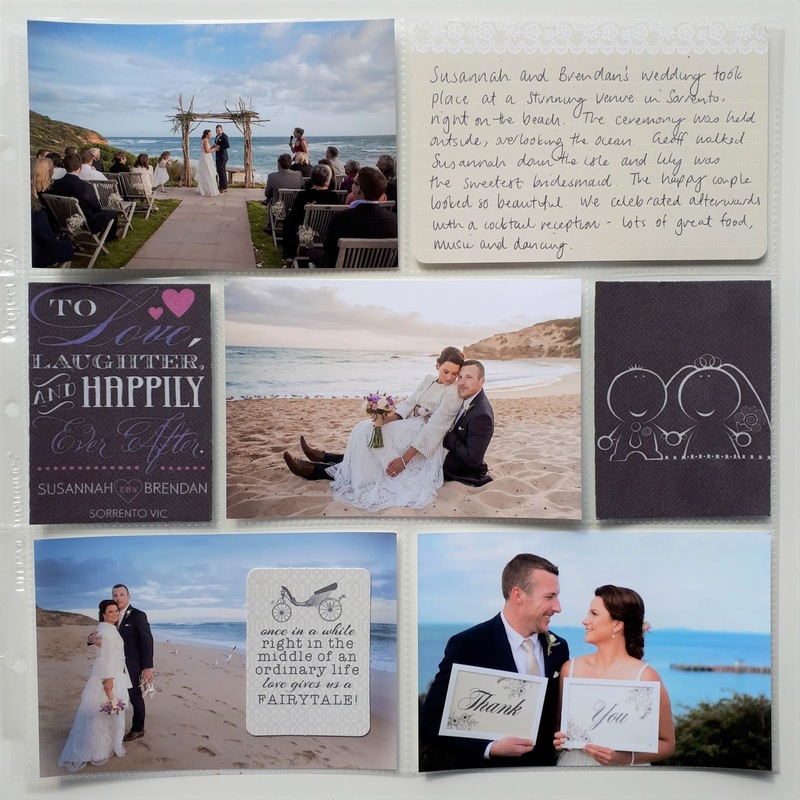 She's not a scrapper herself (I am trying to convert her to the dark side) but has an album of pages my Mum and I have made for her (often at her request). While I had the photos and supplies out I also made a couple of quick PL pages for my 2016 album. I still feel like I'm missing my scrappy mojo, but I'm hopeful that if I keep going with my 100 day project I'll eventually find it again. This week my husband and I celebrated our 7th wedding anniversary. We don't usually do anniversary gifts but this year I wanted to make him a little something to show him how much I appreciate him. 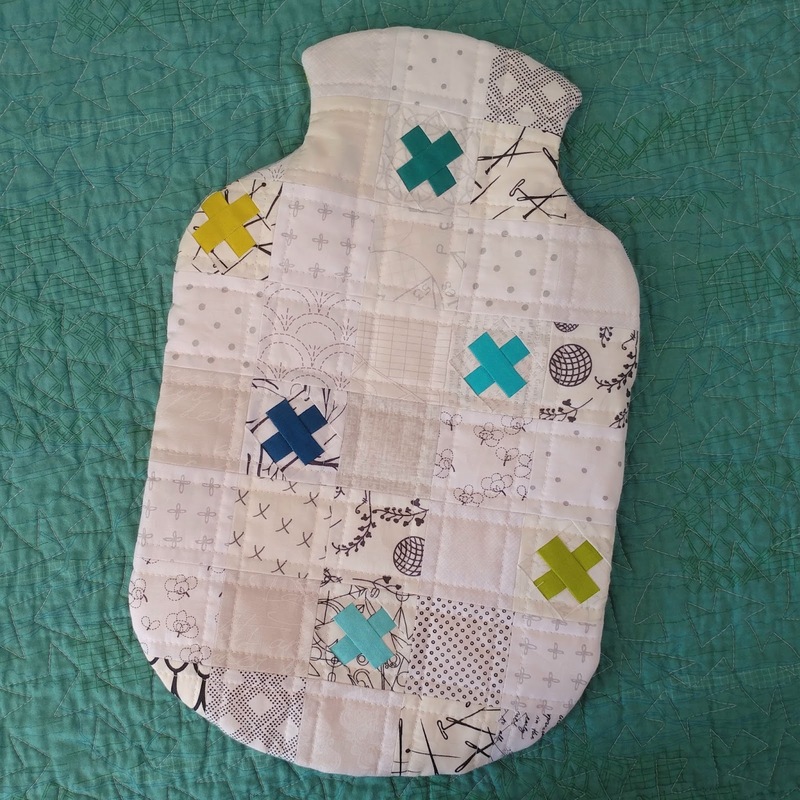 He's already got his own quilt and patchwork pillow, so I made him a patchwork cover for his hot water bottle. 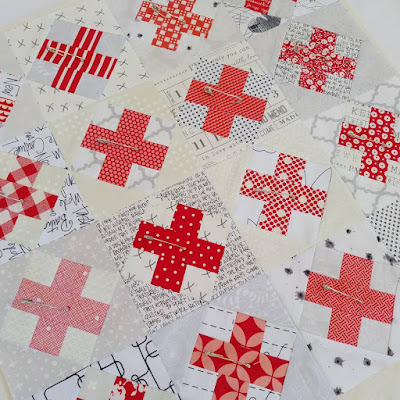 I also used up the mini raspberry kiss blocks that have been hanging around for over a year; and were on my finish-a-long list for quarter 2. 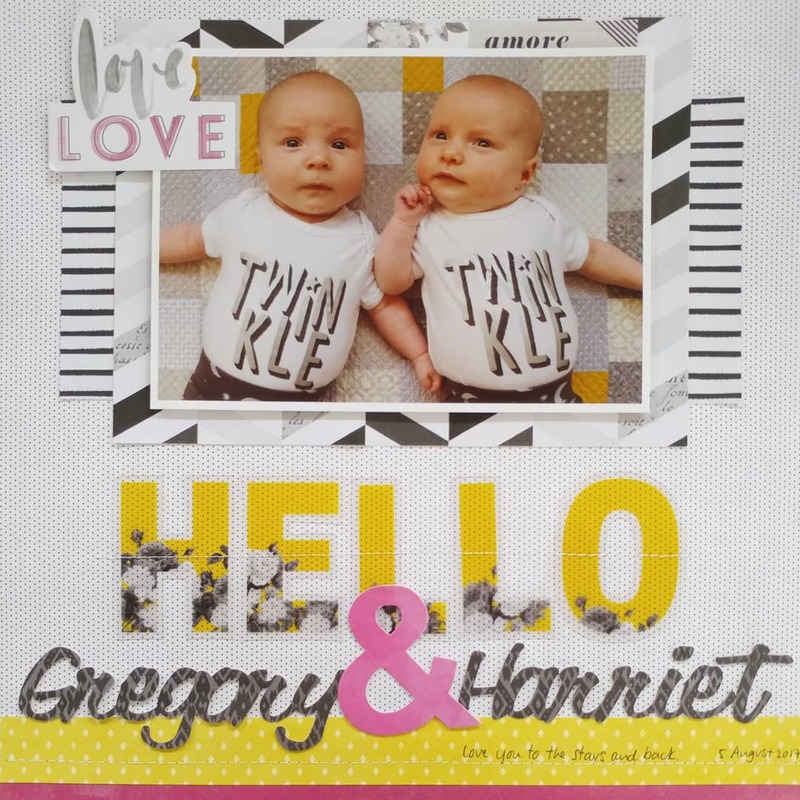 I think they look pretty cute and are fitting given that it is an anniversary gift. It's already been pressed into service so I think it's safe to say that he likes it. For this one I used a geometric cut file background to make a layout featuring one of my favourite pics of my little man that I hadn't yet scrapped. If you look closely you can see lots of different geometric shapes; stars, circles, rectangles; squares, triangles and diamonds. I also made a card for the April card challenge, but only belatedly realised that it was only supposed to be black, white and one other colour. I guess that's what happens when you try to scrap while severely sleep deprived! 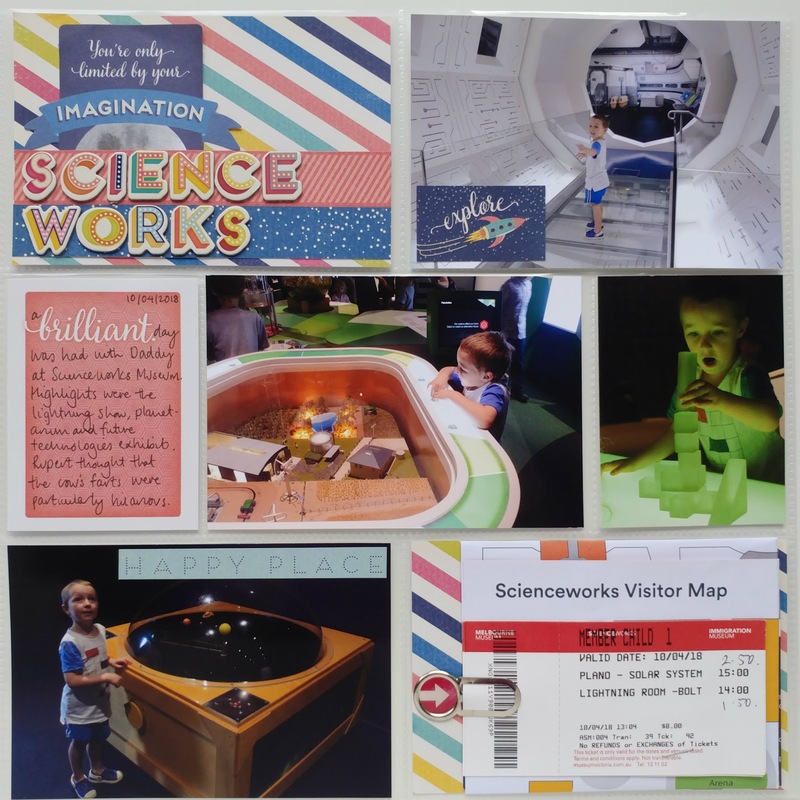 I'm still quite pleased with the card and will pop it away for my little man's birthday later this year. He loves all things space and is a fan of sparkly things so I'm pretty sure he'll like it too. While I had my papers out, I also made a project life spread about his visit to Scienceworks Museum last week. 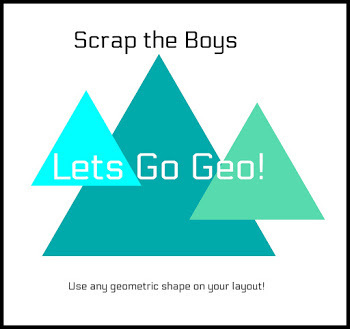 It's been a very long time since I played along with the Scrap the Boys challenge, but I hope to get back to participating regularly, especially now that I have two sons to scrap about. The time has come to link up my proposed finishes for Q2. 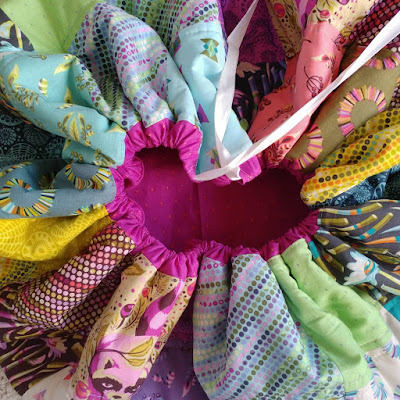 Quarter 1 was really productive - I managed to finish up 10 works-in-progress; four quilts, four pillows, a playmat and some patchwork bibs. However, these were my 'lowest hanging fruit' (closest to finished and therefore easiest to pick off) so I doubt I'll be able to replicate these results in quarter 2. 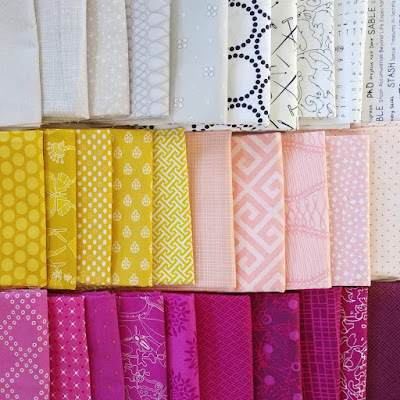 This quarter I’m going to tackle my long list of WIPs from quilt-alongs that I joined but wasn’t able to keep up with. I’ve included a few projects that are rolled over from Q1 but most of them are WIPs from QALs that I joined but wasn’t able to keep up with. 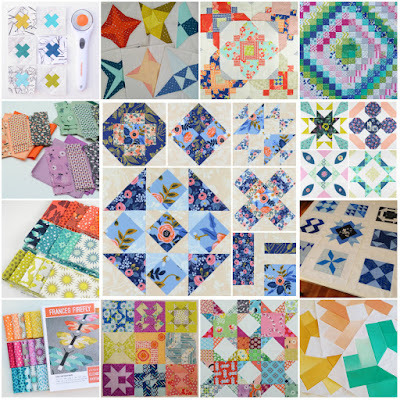 Most are from last year (the Ombre Gems QAL, the Milky Way sampler, Scrappy trip around the world QAL, Sewcial Bee sampler, the Quilt Block Cookbook sampler, Quilt non sampler, the Honey Pot bee), but some are even older (the Glisten QAL, the first 1930 Farmer’s Wife QAL). Here's the extract from my WIP spreadsheet with the specific details. I'm aiming high, but as the saying goes, you've got to aim high to hit high. Though honestly, if I can even finish off half of these projects I will be very happy. 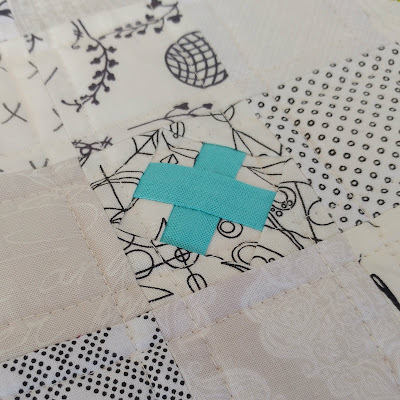 My scrappy mojo seems to have gone AWOL since I fell down the quilting rabbit-hole, so this year I thought I'd participate in the 100 day project and commit to spending a little bit of playing with paper each day for 100 days. Whether it's working on a layouts, pocket pages, greeting cards or tags, or handmade embellishments, or just a few minutes of paper play in the car on the way to work, I hope that I can rekindle my love of papercraft through daily practice. To get me started, I thought I would play along with the Jot Magazine April challenge. 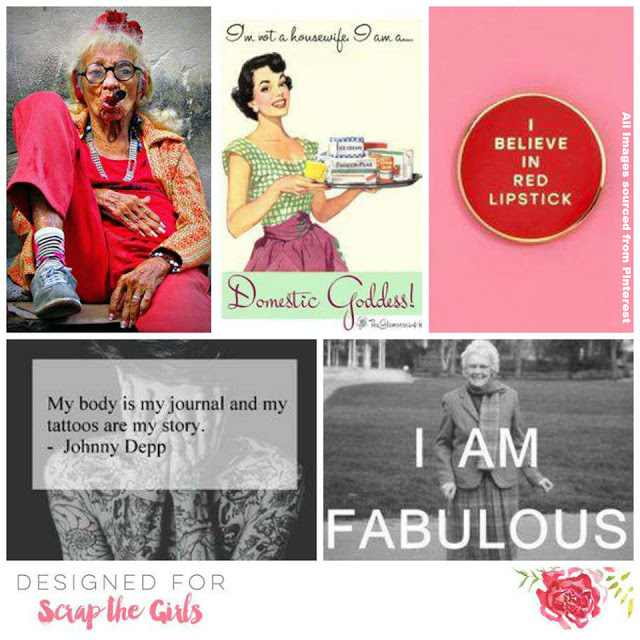 Their stunning moodboards are always great for getting the creative juices flowing. 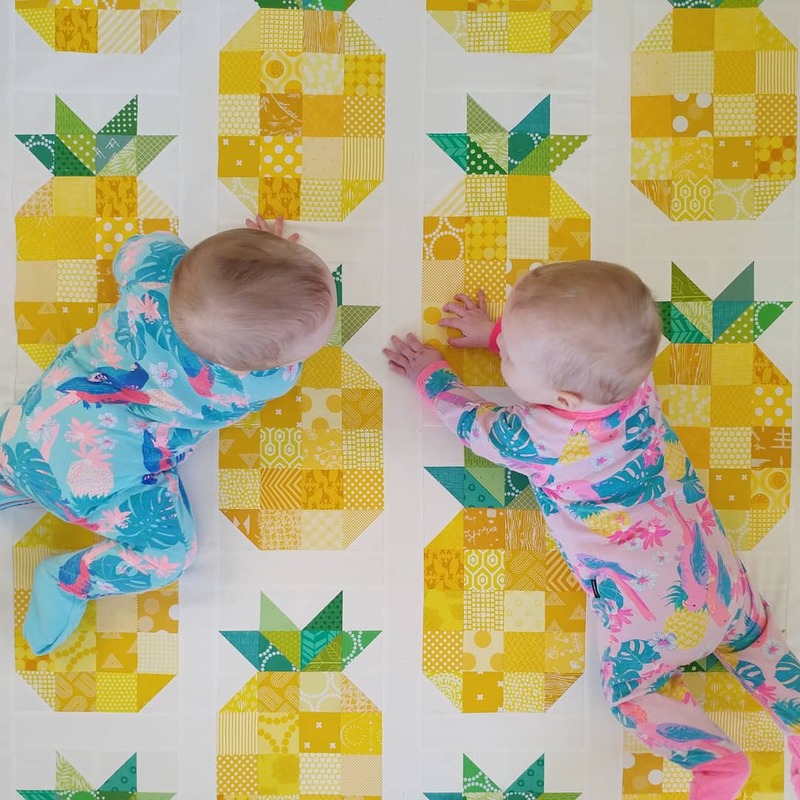 The grey and yellows and the different fabrics in the moodboard made me think of some photos that I took of my children last year, so I made a double page layout documenting these. 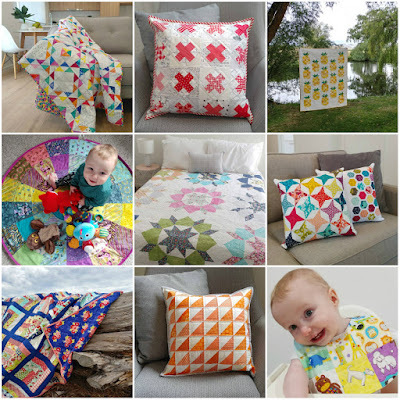 I thought that the quilt that the babies are lying on was a good match for the colours and textures in the moodboard. 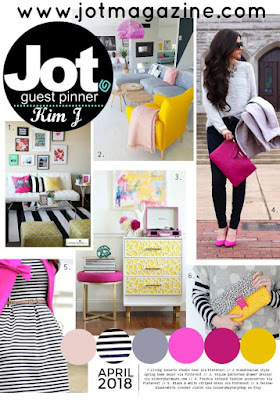 I also added a few pops of pink (in different shades), and some black and white stripes to match the other moodboard elements. 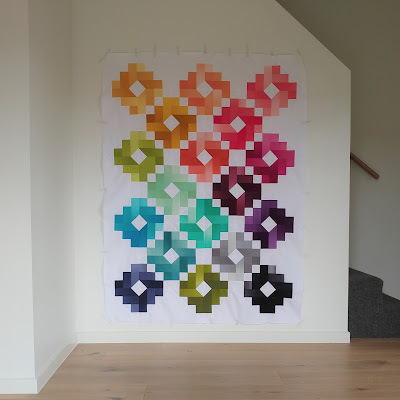 The whole time I was playing with this colour palette I couldn't help think that it would make a great colour scheme for a quilt. I finally gave into temptation and pulled out some fabric to match. 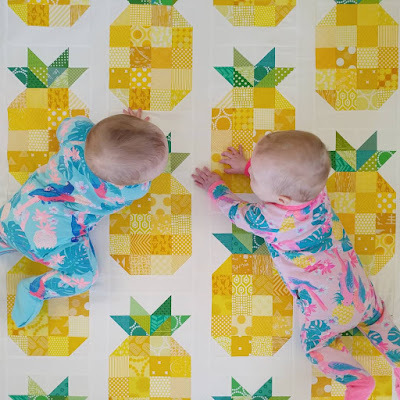 I think this will become the basis for this year's beehive quilt (thanks for the inspo, Kim!). 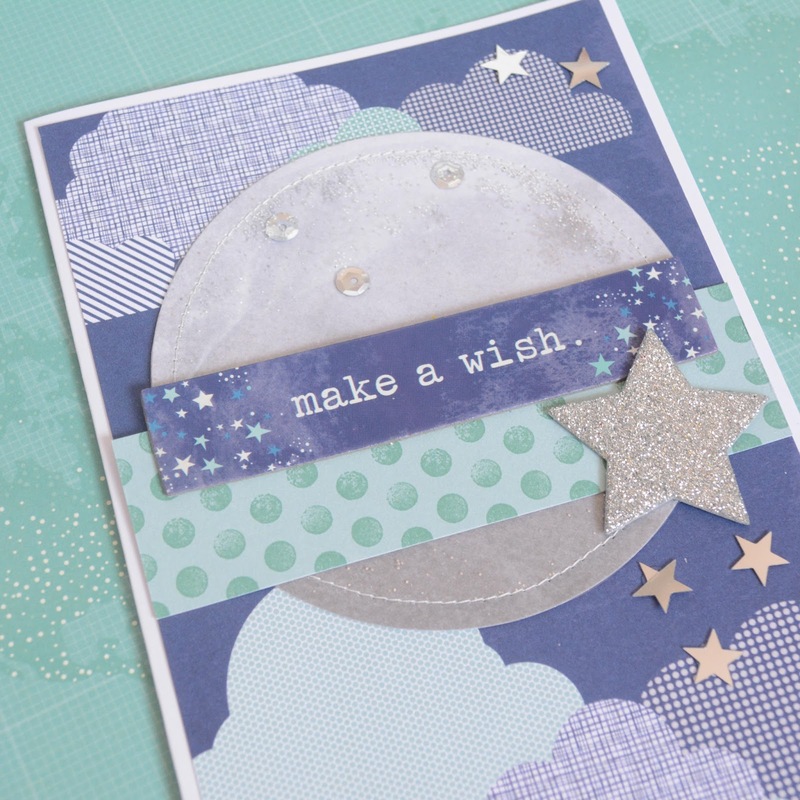 I love how one craft can inspire another. Hopefully the urge to quilt doesn't take over again and I'm able to stay on track with my 100 day papercrafting project. 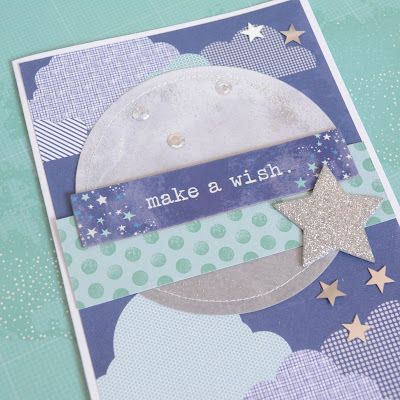 I've got one more finish to share from my quarter 1 list of proposed finishes. 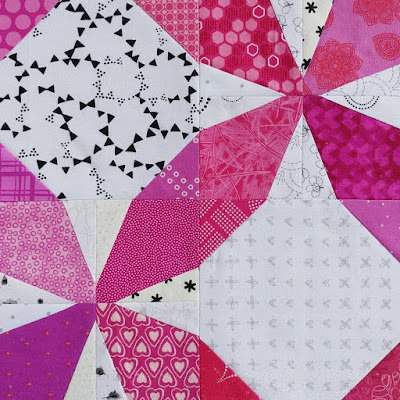 One of my longest running WIPs is a Moxie quilt that I started several years ago using prints from Tula Pink's Acacia collection. 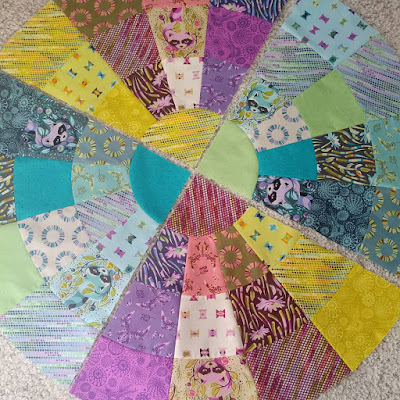 It had been on the back burner for so long because I wasn't sure what to use for the outer pieces. 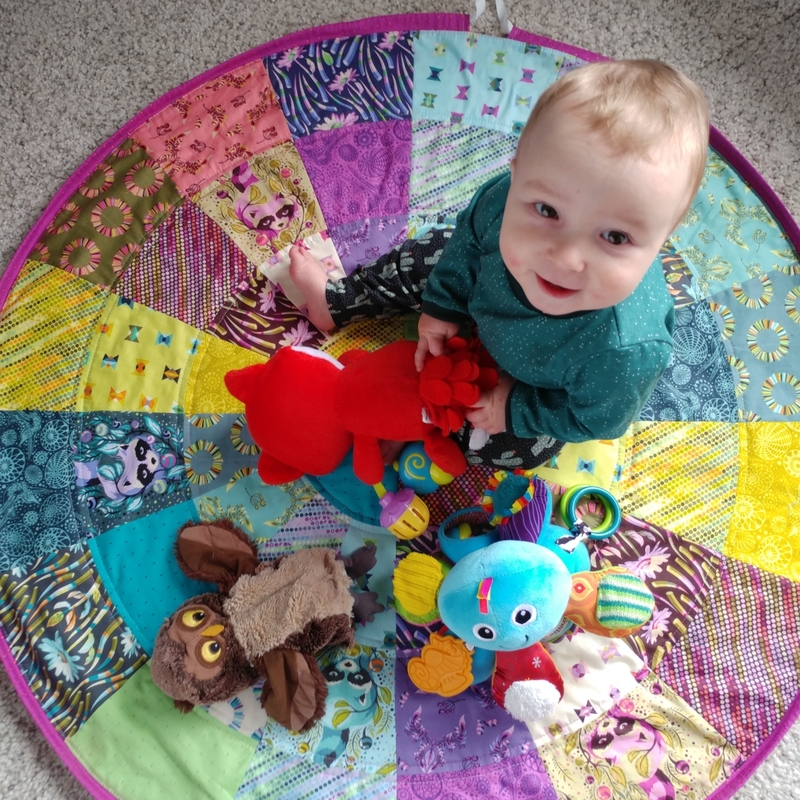 However, I had a brain wave one day and realised that I could turn it into a drawstring playmat for my little ones. If I were to make this again I would add a second gap to the casing (so you can pull the drawstring from two sides) but I'm otherwise really happy with how it turned out. 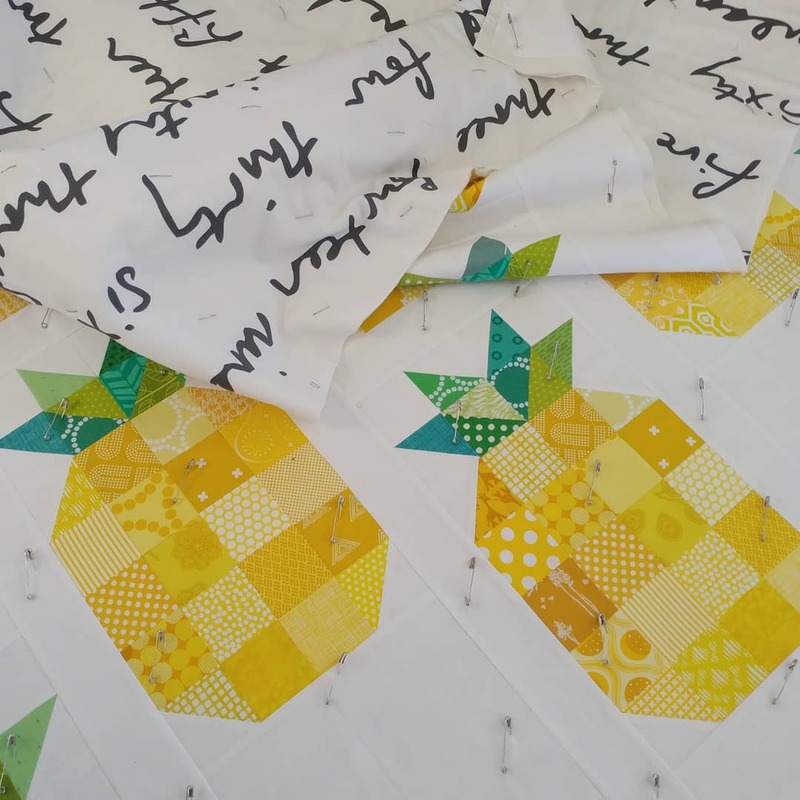 I'm so glad to have finished this long-term WIP and to have made something useful out of the precious prints. All in all, I managed to finish 8 out of my 14 proposed finishes for quarter 1. Although I didn't hit my goal, it's been my most productive quarter to date. Here's hoping quarter 2 is even more productive! A couple of years ago I participated in a Bonnie and Camille log cabin block swap with some fellow Aussie B+C fans. At the end of the swap I had 48 10" log cabin blocks and no idea what to do with them. 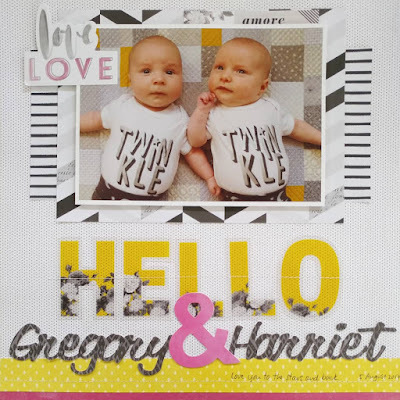 They sat in one of my WIP boxes of shame, and despite being part of my proposed list of finishes for several finish-alongs, I never managed to finish this project. This year I committed to working through my WIP, working on one project at a time until finished. 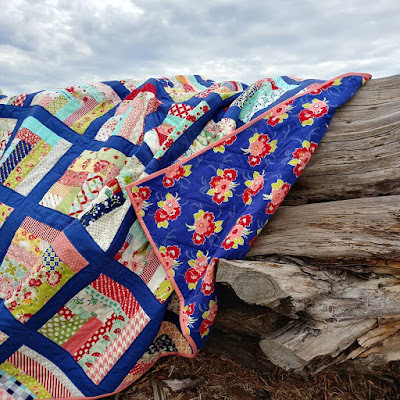 Because this quilt was quite close to being finished (with all blocks made) it made it onto my first quarter list of proposed finishes. When the time came to work on this WIP, I was pleased to find that it came together quite quickly. At first I was a bit unsure about going with a bold blue for the sashing (I was tempted to use my usual white), but I am so glad that I did. 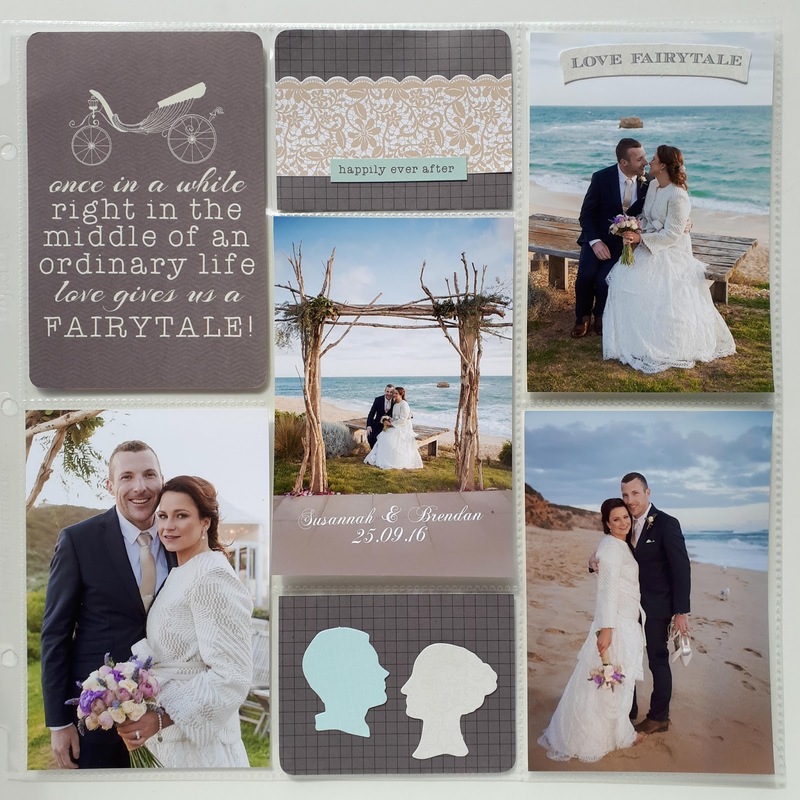 I love the way it contrasts with the pretty pinks and reds and really lets the colours shine. 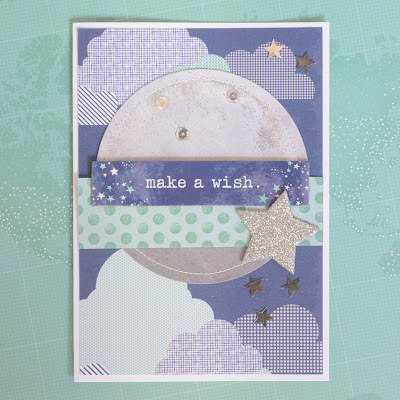 It also matched really well with a Miss Kate flannel that I used for the backing. I kept the quilting really simple; just a few straight lines with my walking foot along the sashing strips and an extra line of quilting through the middle of each block. 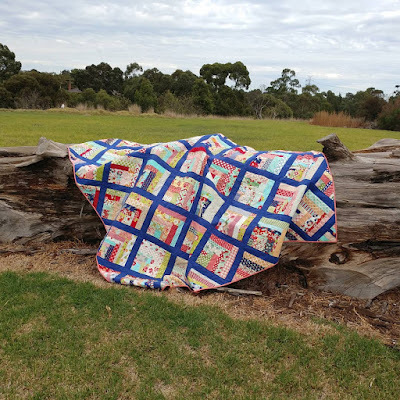 Over the Easter long weekend I took the quilt out into the wild (and by the wild, I mean the local park) for some photos. It was a bit too windy for whole quilt shots but we did find a nice big log to drape it over. It's now been washed and dried and put on the bed, ready to snuggle under tonight. I love that most of the blocks have bee made by my quilty friends and contain lots of prints I don't have in my stash. I have a feeling this will become one of my favorite quilts. 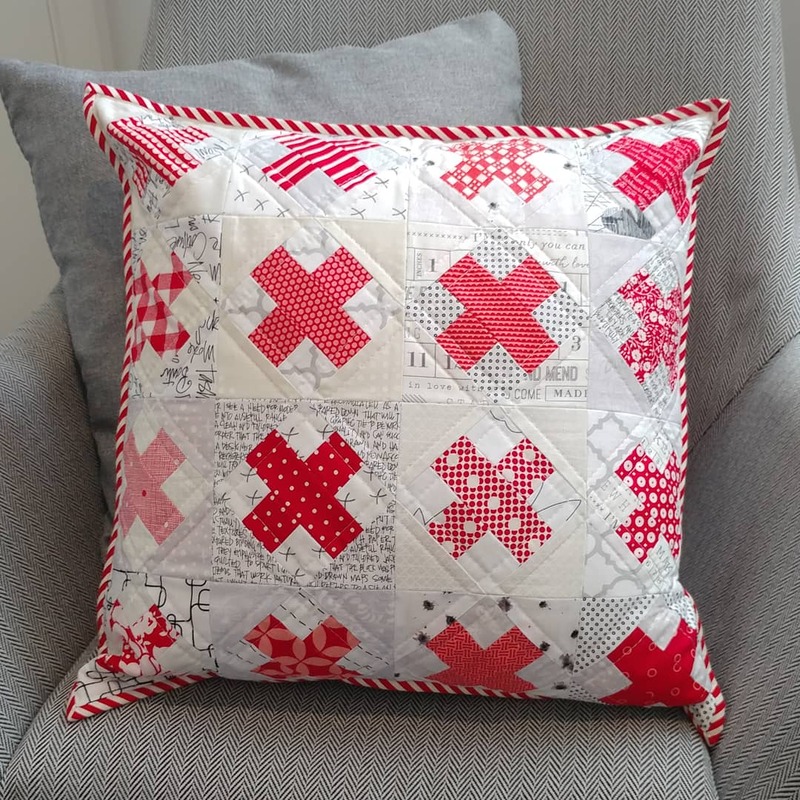 I've got another finish to share today - a patchwork pillow I finished a couple of months ago, but am only just getting around to sharing here. The pillow is made from 16 raspberry kiss blocks in different Bonnie and Camille red prints with low volume backgrounds. 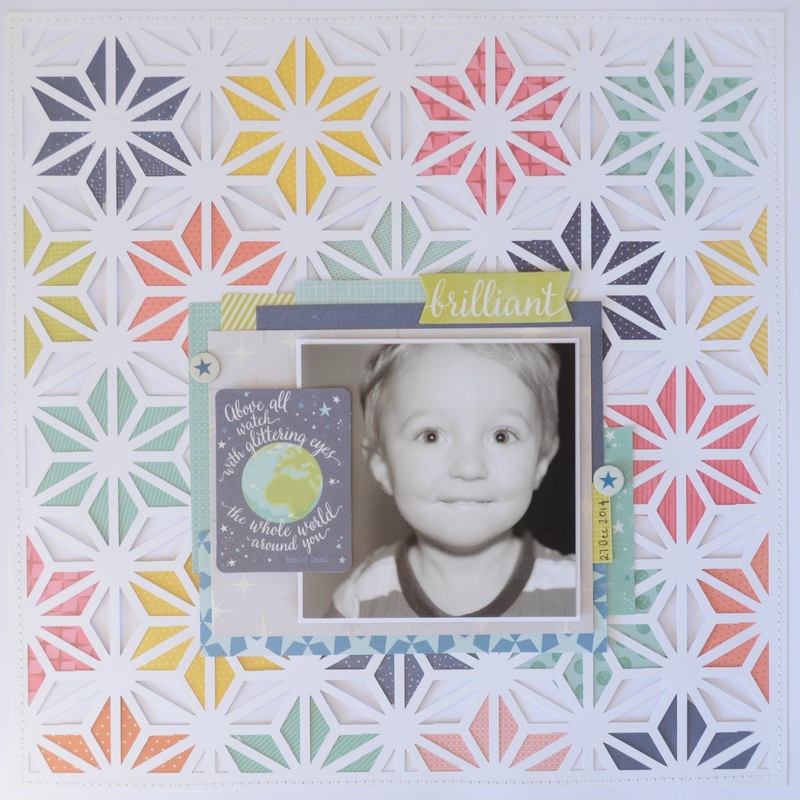 You can find a tutorial for this block here. My unfinished blocks all ended up a little bit larger than 4.5", but since they were all the same size it didn't really matter. I'm linking up with the 2018 finish-a-long, as this was on my list of proposed finishes for quarter 1. I can't resist a quilt-along. 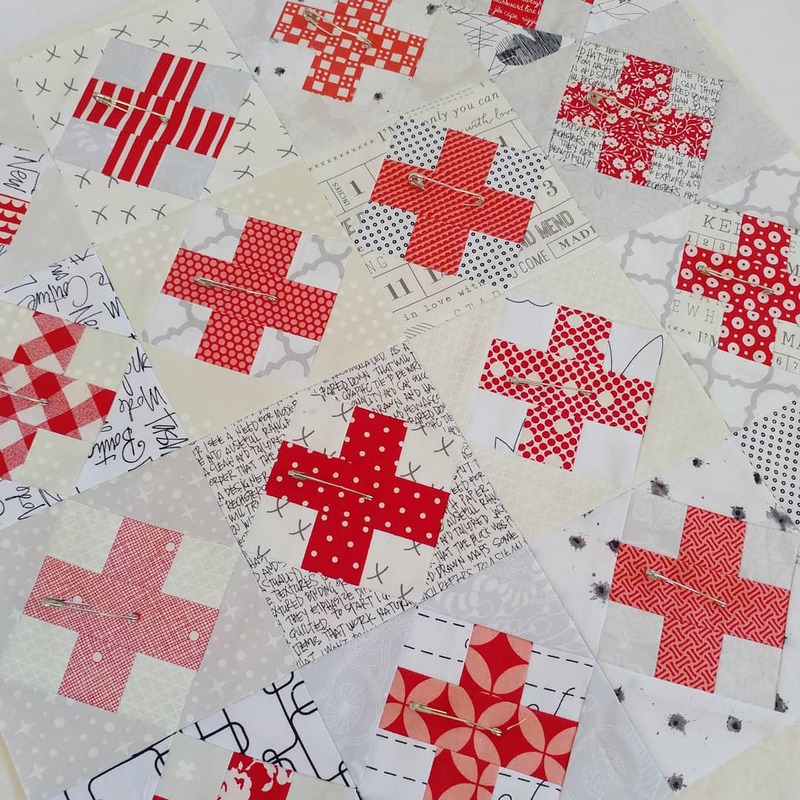 I love working on the same project alongside others and seeing lots of different interpretations of the same quilt. And most of the time, I find that having a deadline helps keep me motivated. 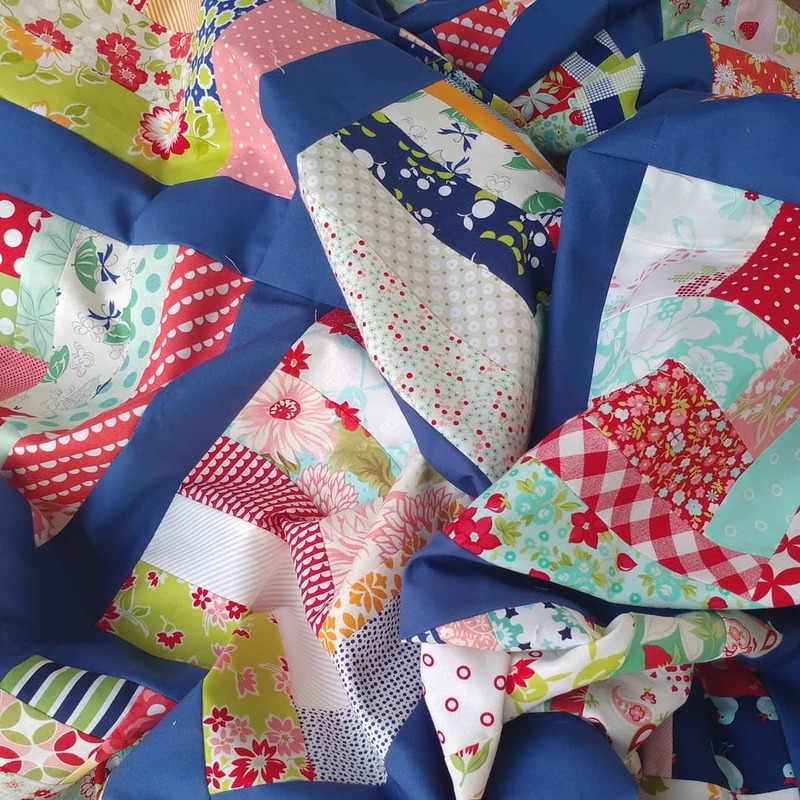 However, last year I went a bit overboard, joined too many quilt-alongs and hardly finished any of them (it might have had something to do with being heavily pregnant with, and then giving birth to twins). 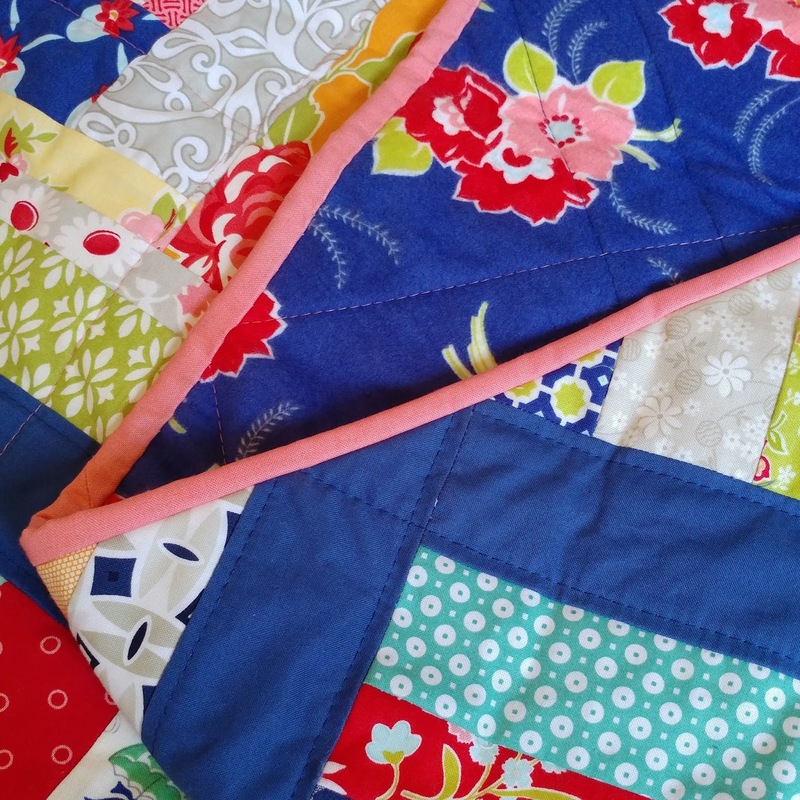 This year I am determined to finish all those quilts that I started. And I'm not letting myself start any new projects until my WIP list is under control. At first I thought this meant not joining any more quilt-alongs, and I have been experiencing serious FOMO over some upcoming quilt-alongs that I would love to join in. 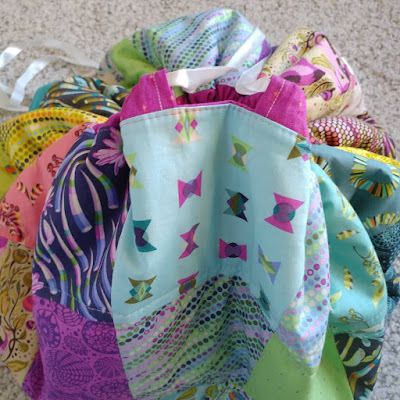 But, luckily for me there are a few quilt-alongs I can join without starting any new projects. 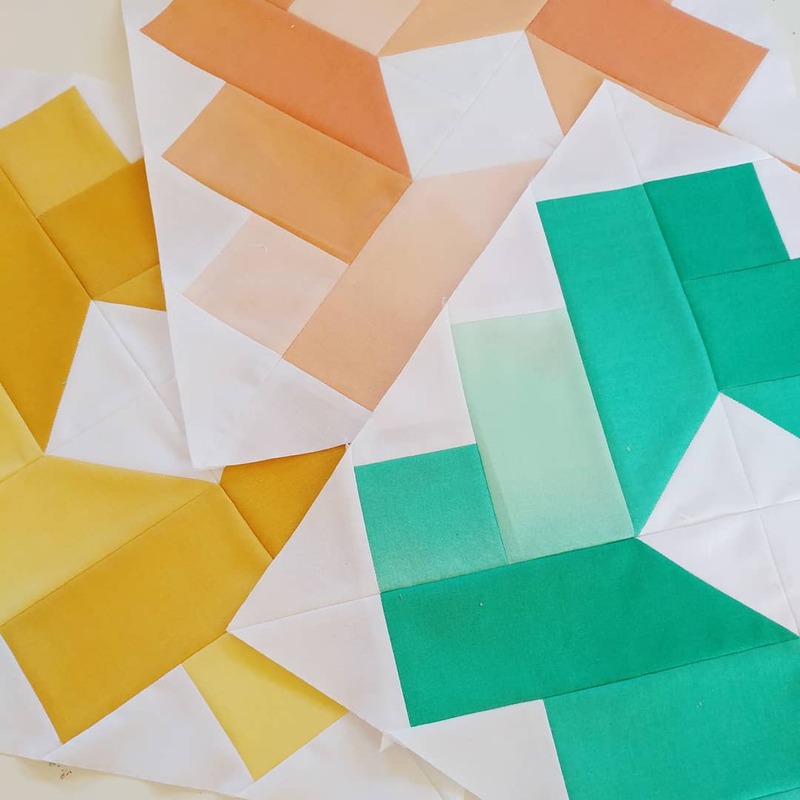 One is the Ombre Gems quilt-along, which the pattern designer, Emily is running for a second year in a row. 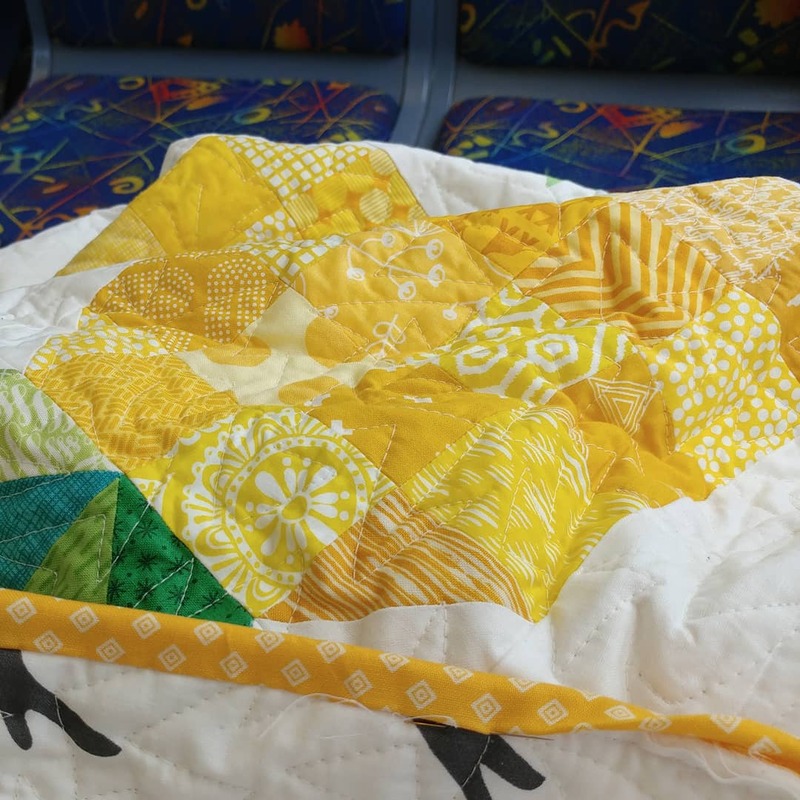 I joined this quilt along last year and only managed to complete three blocks. 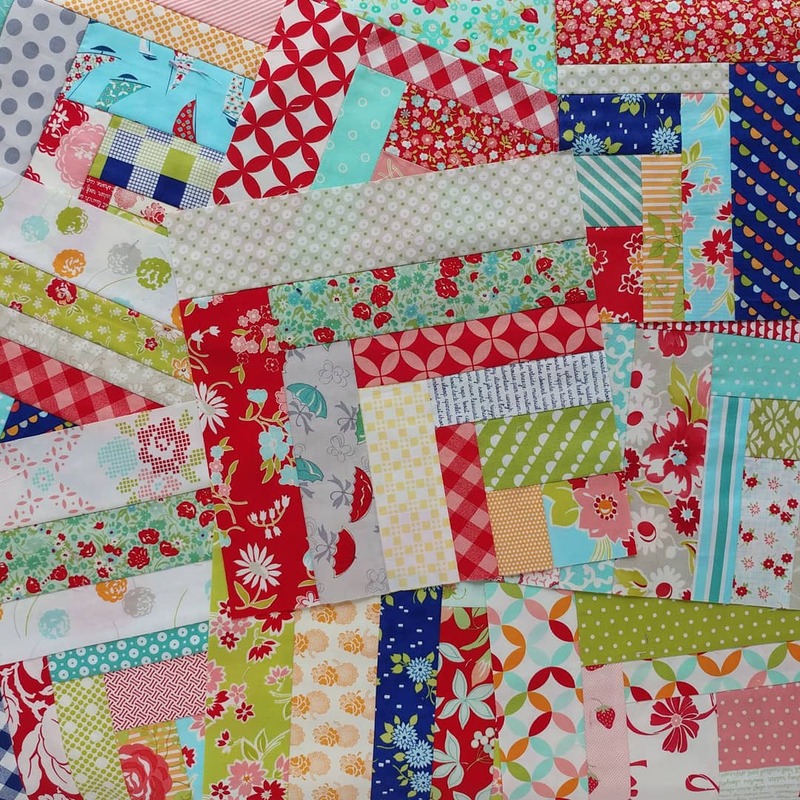 This year I hope to do better and am setting this project as my Elm Street Quilts One Monthly Goal for April. I'm making the smaller version of this quilt so am aiming to have 9 blocks completed by the end of the month. 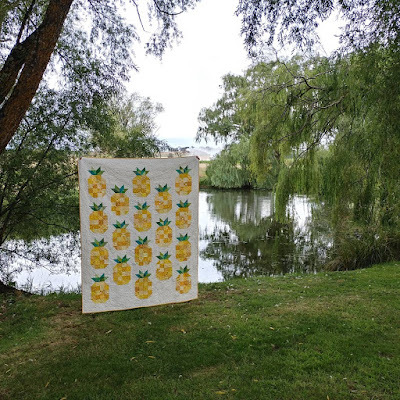 I'm linking up with the 2018 finish-along and sharing another finish from my quarter 1 list of proposed finishes - my pineapple quilt. 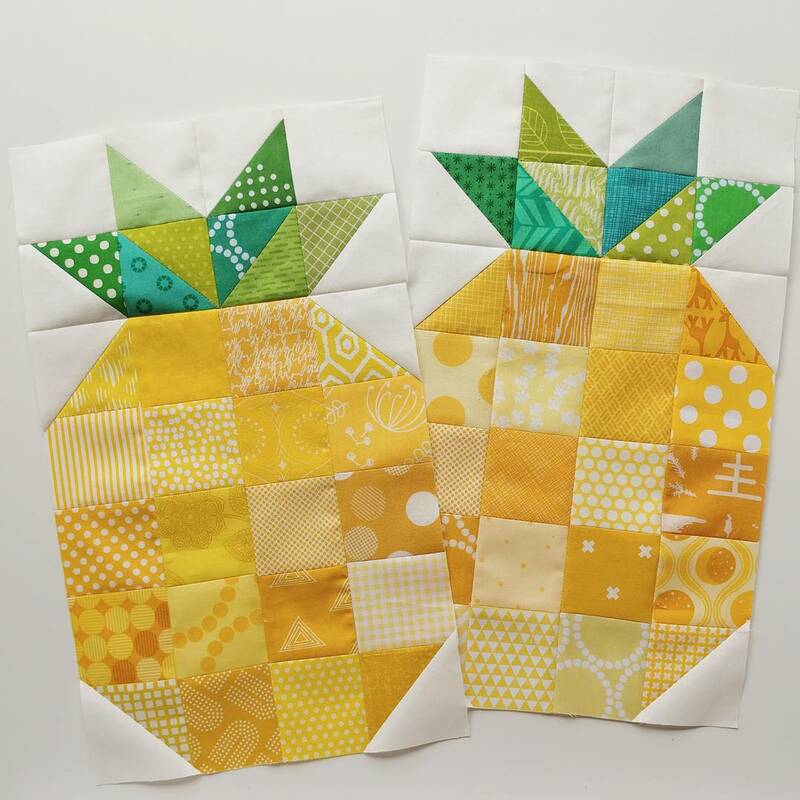 After playing with some yellow prints last year for a bee block, I thought I'd scratch an itch I had to make a pineapple block. I used the free pattern by Jackie Padesky found here. Well, the pineapple block soon became two and before I knew it, I had started another project. I free-motion quilted it using an all-over sharp stipple design (which I thought was a good match for the spikes on a pineapple) and bound it with a sunny yellow DS print. The lake at the Said with Love quilt barn turned out to be the perfect place for a quilts in the wild photo shoot. 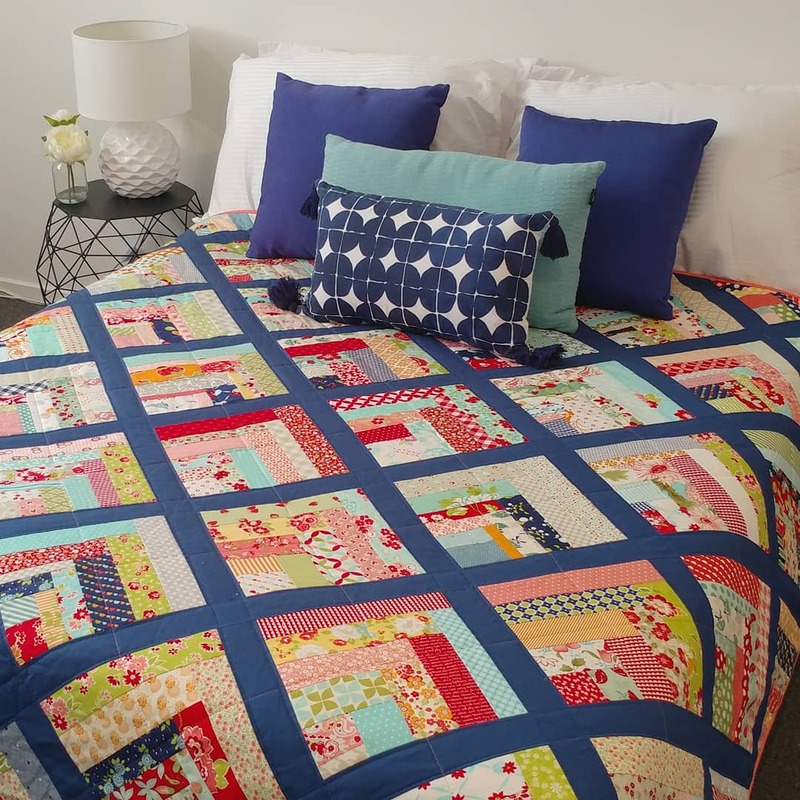 I love how it turned out and can imagine myself making another one of these quilts in the future. I gifted this one to a friend who had admired it as I was making it. 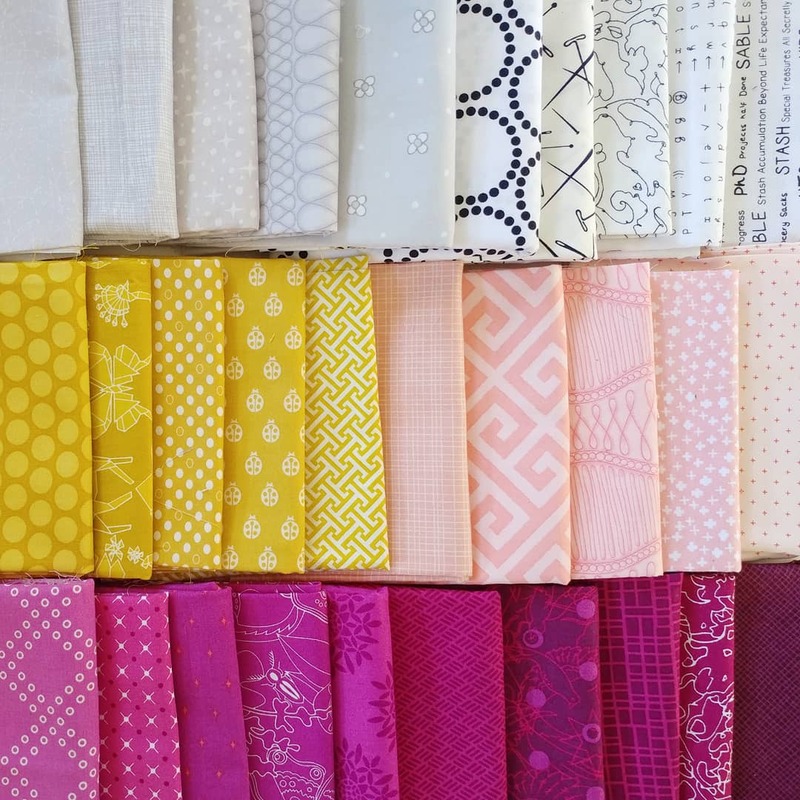 I just realised that I forgot to share the bee blocks I made for the March queens in my different quilting bees. First up are some Wanta Fanta blocks for Katie, who chose a colour palette of bright pink and low volume. 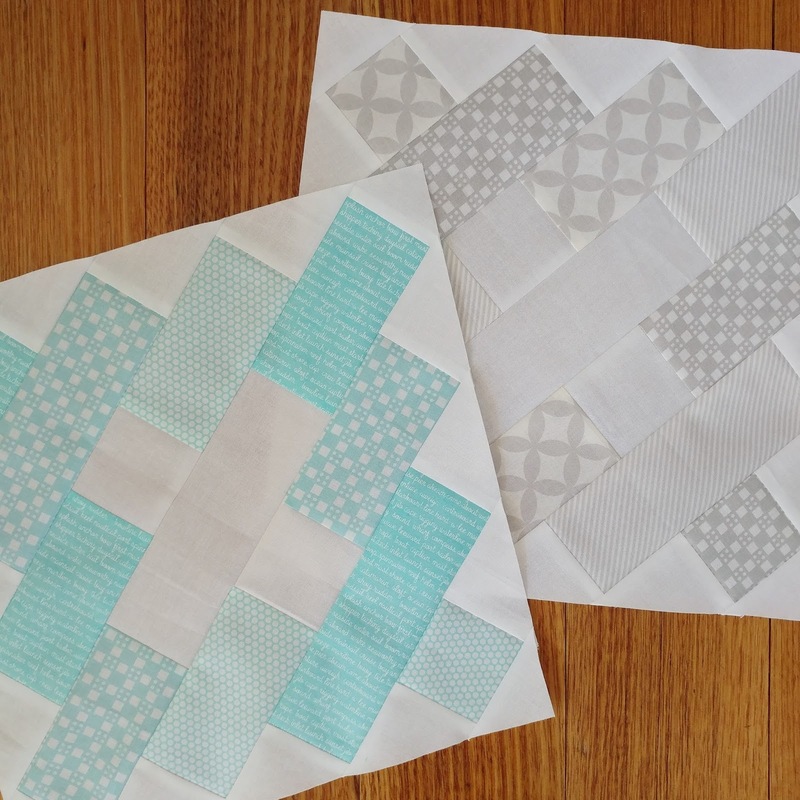 For my second beehive quilts group, Caroline chose the Checker block in large scale florals and white. I had a lot of fun picking flowers from my stash for this one. 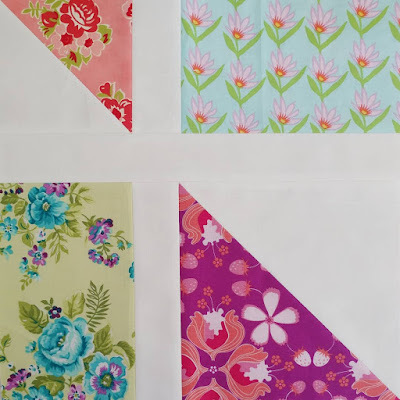 I also joined a new bee group which focuses on Thimleblossoms patterns and Bonnie and Camille prints. 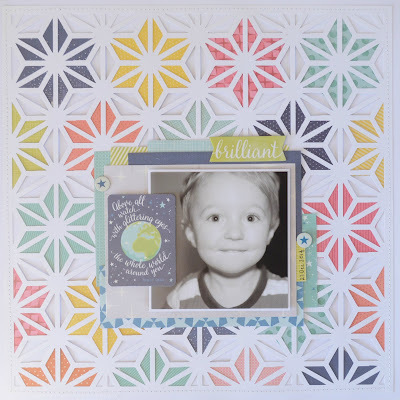 These Vintage Remix blocks were made for our March queen Cindy. I'm loving being able to play with different blocks and fabric combinations without breaking my 'no new projects' rule and look forward to seeing what our April queens will choose.